It only takes 10 minutes to study! 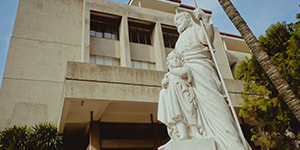 Xavier University – Ateneo de Cagayan Basic Education is an integral part of the Jesuit educational apostolate, Catholic in its orientation, and Filipino in its concerns. We are a community composed of Jesuits, lay faculty, staff, parents, and students working together for the total education and formation of the young particularly in Northern Mindanao. We envision to develop conscientious servant leaders marked with excellence, enriched with Filipino culture and heritage, concerned with maintaining and preserving ecological balance, and employing a pedagogy that integrates Ignatian Spirituality in all phases of life at school, in the community, nation, and the world. S show respect for our Filipino identity, culture, and tradition and ready to serve our country. Persons for others and with others, we believe that TRUTH frees us. We, Xavier University – Basic Education, dedicate the pursuit of MAGIS as our way of life.